"My grandfather was a great man. He was my best friend and..."
"Our deepest sympathies to the family for the recent loss of..."
"MY DEEPEST SYMPATHIES TO THE ROGERS'FAMILY:I got to talk w/..."
"Emery Street was never the same after Bill & Rita left. He..."
"Sorry for your loss, Pam (and Jean). I never met him, but I..."
SCARBOROUGH - William H. Rodgers, of Westbrook and Gorham, has reached the end of his time among those he loved here during his life, grateful for the returned love and friendship from everyone he knew. He was the son of Ralph and Marjorie (Patch) Rodgers, born and raised in the Sanford-Springvale area. After attending Sanford schools, he was proud to serve in the United States Air Force, lending his musical abilities as a member of the Air Force Band. While enrolled at Nasson College to pursue his teaching degree, he met and married the love of his life, Rita (Frotton) Rodgers. Their two daughters, Pamela and Jean, soon followed and Mr. Rodgers happily assumed the roles of husband and Dad as he started his long and rewarding career as a teacher at Berwick Academy then Westbrook High School. Mr. Rodgers was thankful to the many students he had the privilege of guiding in his classroom. Teaching you all was one of his most gratifying undertakings, and he truly appreciated the enrichment you brought to his life in return. He was also thankful for the many co-faculty professionals he served with during his 30-plus year career. 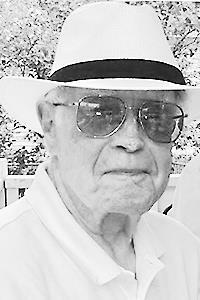 As the self-appointed 'gatekeeper of Emery Street', he immensely enjoyed many years of friendship with all his neighbors and friends--notably summers spent at the nearby River Meadow Golf Course. He enjoyed all your comraderies, wise-cracks and friendly banter, especially over a cold beer at the 19th. Mr. Rodgers loved seeing the expansion of his family to include son-in-law John Patriquin (husband of Pamela Rodgers) and the extended Patriquin family; Andrew Bassford (husband of Jean Rodgers Bassford) and the arrival of those two special reasons for the twinkle in his eyes: granddaughters Emily Bassford and Katherine Bassford. His family extends appreciation to Dr. Timothy Baum of Intermed and the care takers at Springbrook, Maine Medical Center, and the Gosnell House, who showed Mr. Rodgers compassion and kindness toward the end of his life's journey. Mr. Rodgers enjoyed his life, and wishes nothing but the best for all he leaves behind. Please honor your special memory of him by sharing a laugh or a hug with your family and friends. Services will be private at his family grave site at Pleasant Hill Cemetery in Newfield. Arrangements are under the care of the Westbrook Chapel of Dolby, Blais & Segee. Please visit www.dolbyblaissegee.com to view William's tribute page and to sign his online guestbook.